I’m delighted to have been invited to exhibit at the National Print Museum as part of this beautiful exhibition ‘Exquisite Editions’. 25 books from Irish and International Fine Presses have been selected by the shows curator, Jamie Murphy of The Salvage Press. 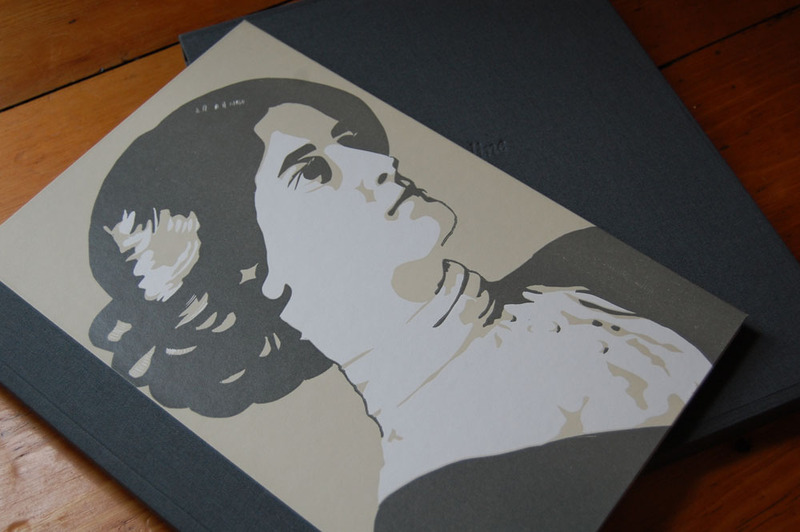 All are printed letterpress, in limited edition and I’m honoured to have my book ‘Eveline’ included in their company. The exhibition is beautifully presented and the first time some of these books will have graced our shores so well worth a trip. It is open daily in the National Print Museum and continues until 18 April. For the first time in Ireland, this exhibition brings together 25 outstanding books from the world’s leading contemporary fine press printers. All the books are letterpress printed in limited editions and many have been illustrated through a variety of means including wood engraving, woodcut, linoleum and other fine art processes. Exhibiting alongside the work of several Irish presses will be books from the UK, USA, Canada, Sweden, New Zealand, Australia and the Netherlands. Delighted to hear that Mary and only as it should be as your work is brilliant and richly deserves this accolade…… Good luck, Austin.